In early June, Sierra Club filed a challenge to the St. Johns River Water Management permits for Sleepy Creek Lands, formerly Adena Springs Ranch. The project site is in Marion County near the small town of Ft. McCoy adjacent to Mill Creek. In the first of three phases of a 30,000 acre beef operation that will ultimately withdraw 5.3 million gallons of water per day (mgd), Sleepy Creek Lands/owner Frank Stronach is seeking a permit to withdraw 1.46 mgd from an already over-tapped aquifer. The Sierra Club and our co-petitioner, St. Johns Riverkeeper, also maintain that the increased nutrients from grass fertilizer and wastes from 9,500 head of cattle will endanger the health and restoration of the Ocklawaha River, an OFW and the St. Johns River, an American Heritage River. The pumping of the aquifers to irrigate pastures will affect the Silver River, Silver Springs, and Salt Springs all of which are designated OFWs. These springs and rivers belong to all the citizens of Florida and we must do our best to protect them from destruction. We need your help. To maintain Sierra Club's right to challenge these permits we need to prove that our members enjoy and benefit from outdoor activities on these water bodies and have a deep interest in protecting and restoring these water bodies. This is referred to as establishing "standing." You can stand up for protection of Florida's springs and rivers by letting us know of your commitment to be a standing witness. You should be willing to speak to a hearing judge that you have a compelling interest in the protection of these springs and rivers and their fish and wildlife because of your enjoyment and activities. We will need over 100 names of potential standing witnesses. Your help is critical to us. PLEASE EMAIL US TO GIVE US YOUR NAME AND PHONE NUMBER, WHAT SIERRA CLUB GROUP YOU BELONG TO, WHAT YOUR INTEREST IS AND WHERE. WE WILL CONTACT YOU AS SOON AS POSSIBLE TO GIVE YOU INFORMATION ON THE HEARING DATES AND LOCATION. TRAVEL EXPENSES TO THE HEARING WILL BE REIMBURSED BY SIERRA CLUB. A huge thank you to anyone who can do this! Thank you all. Collier County Commissioners decided Tuesday, June 10th, to stay the course and uphold their decision to file a petition against the consent order between the Florida Department of Environmental Protection (DEP) and the Dan A. Hughes Company. Dan A. Hughes is the applicant for exploratory drilling in Golden Gate Estates - 1,000 feet from residences and less than one mile from the Florida Panther National Wildlife Refuge. They are also the company involved in using illegal fracking techniques at the Collier-Hogan well, within the Big Cypress Swamp Watershed. The Collier Commissioners voted in April to challenge the $25,000 settlement between Dan A. Hughes and the DEP regarding the illegal extraction techniques at the Collier-Hogan well. DEP's settlement also called for groundwater testing, but it should be noted that testing has still not been conducted in the six months since the original infraction. Commissioner Coyle said, "We've never had a drilling representative at any of our meetings to answer questions in public... DEP should be here [to discuss] the lax enforcement of the permit." Attempts between the Collier Commissioners and DEP to meet to discuss the administrative challenge disintegrated when DEP refused to meet in a public forum. Commissioner Hiller recommended to "deny the permit because DEP doesn't have the oversight for fracking and hasn't done their duty of protection." During the public comment period of yesterdays meeting, the DEP issued a press release denouncing the Commissioners' decision to challenge enforcement. Titled, "Commissioners Thwart Enforcement Against Dan A. Hughes Oil," the DEP called the decision "unfortunate" and "urge[d] the Commission to reconsider its decision." Rather than having the desired bullying effect, the Commissioners considered the DEP's statements a direct threat, and rallied again to hold fast to their decision against the DEP and Dan A. Hughes. Numerous environmental groups attended the hearing, including the Sierra Club, Conservancy of Southwest Florida, the Stonecrab Alliance, Preserve our Paradise, and others, some coming from as far away as Orlando to show their support for the Commissioners' decision. 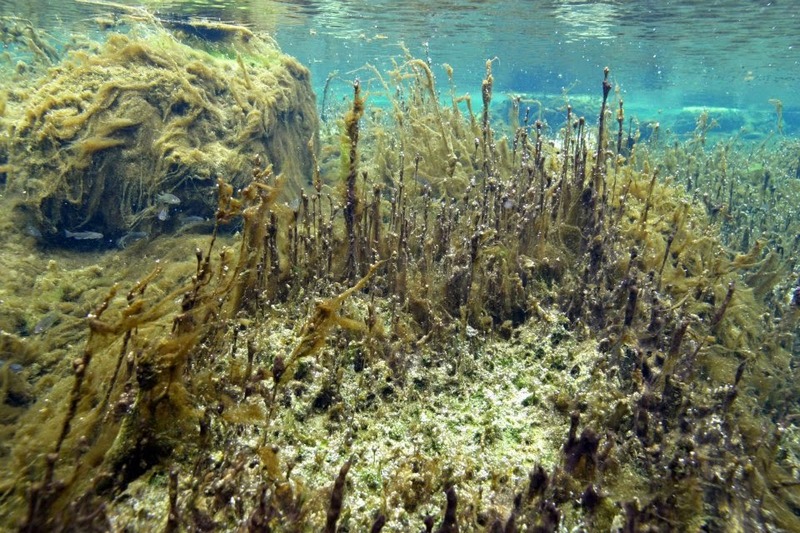 Jacksonville, FL – On Monday, June 2, 2014, St. Johns Riverkeeper and Sierra Club Northeast Florida filed a petition for an administrative hearing to challenge the permits sought by Sleepy Creek Lands (formerly Adena Springs Ranch). The two organizations are collaborating with concerned citizens, Karen Ahlers and Jeri Baldwin, who are also challenging the permits. The legal challenges are in response to the recent announcement that the St. Johns River Water Management District (SJRWMD) staff has issued an Environmental Resource Permit (ERP) and recommended approval of a Consumptive Use Permit (CUP) for this massive cattle operation located in the watershed of the Silver and Ocklawaha Rivers and the springshed of Silver and Salt Springs. 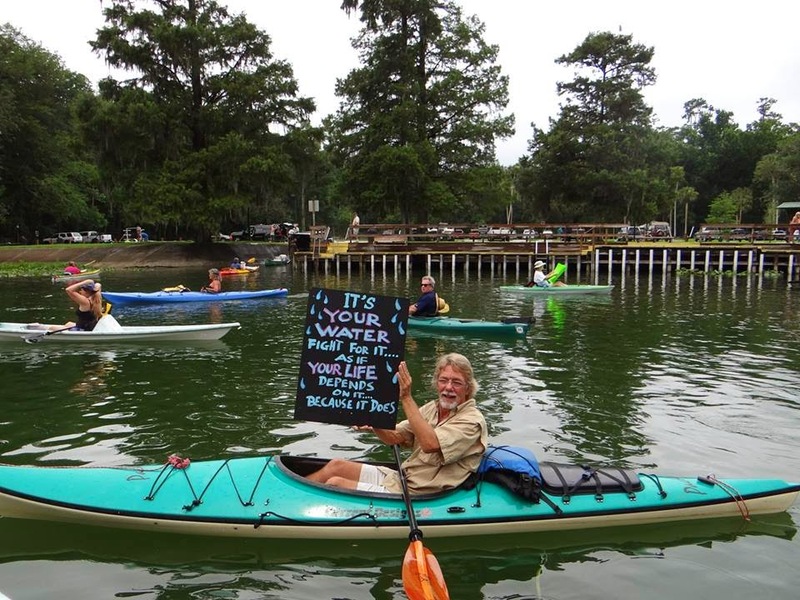 The SJRWMD Governing Board would have decided upon the CUP permit request at its next meeting on June 10, but the legal action taken by St. Johns Riverkeeper, Sierra Club Florida, Ahlers, and Baldwin will postpone any decision by the Board. In the first of three phases of a 30,000 acre beef operation that will ultimately withdraw 5.3 million gallons of water per day (mgd), Sleepy Creek Lands is seeking a permit to withdraw 1.46 mgd from an already over-tapped aquifer. According to the petition, the SJRWMD staff has failed to account for the significant impacts to the flow of Silver Springs, Silver and Ocklawha Rivers and Salt Springs and the increased nutrient loading that will result from the manure of 9,500 head of cattle and the use of large quantities of fertilizer and water. The petitioners also question the validity and accuracy of the modeling upon which the challenged permits are based. As a result, the SJRWMD has not provided reasonable assurances that water resources would not be significantly affected. 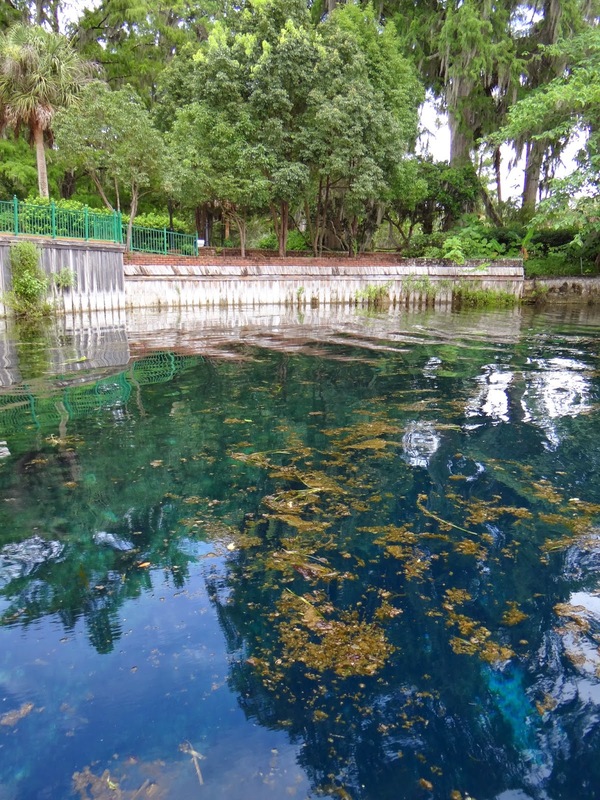 Unfortunately, Silver Springs and the Silver River, which flows through the Ocklawaha into the St. Johns River, are already under severe stress with flows in significant decline and nitrate levels exceeding the State of Florida’s pollution limits. In 2012, the State mandated a 79% reduction from existing nitrate loading, in order to restore the health of these waterways. The legal petitions that were filed are available upon request.